Tarek Chemaly: Spinney's - take a dip... and - does anyone remember? Spinney's - take a dip... and - does anyone remember? I apologize for the bad photo, I only saw one billboard with this photo and shooting it proved a challenge. The Spinney's ad goes "wayn ma kinti chikke 3endna" - wherever you are, park it over our place. Come around or "park it" also means in vernacular Lebanese "take a dip". 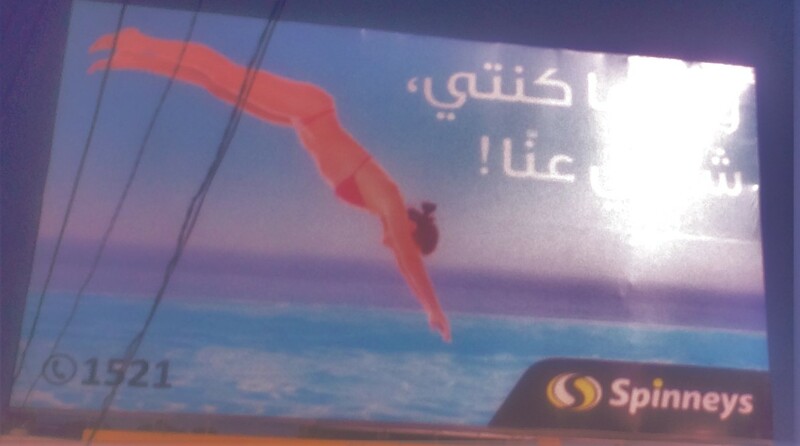 Hence the lady in the swimming bikini. I wish the photo showed better though. Another cutie from Spinney's which is having a string of hits lately. The second ad however, I found a bit puzzling. 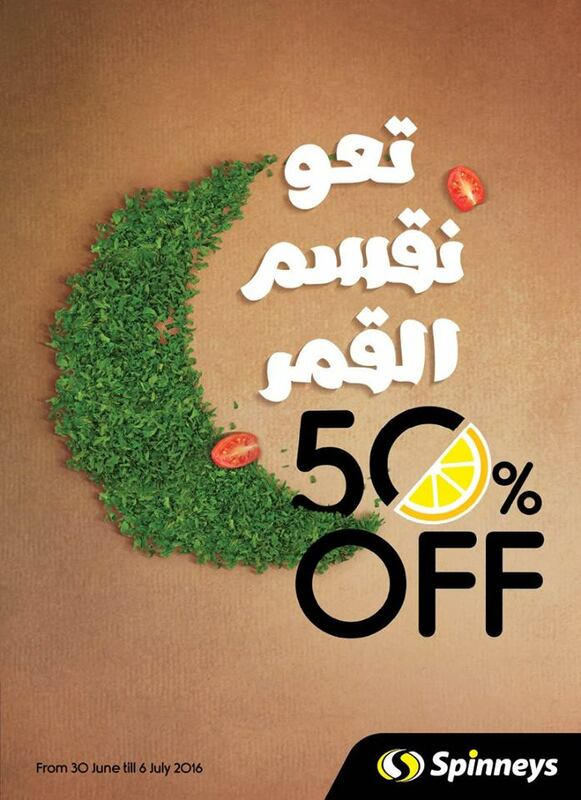 I think it is a Ramadan offer but the line says "let us split the moon in two" with a 50% offer. The "split the moon in two" is a direct reference to a song by Walid Tawfic straight from the 80s. I don't know if the younger generation is even aware of it. Or if the older generation grasped the reference. Then again I could be mistaken!